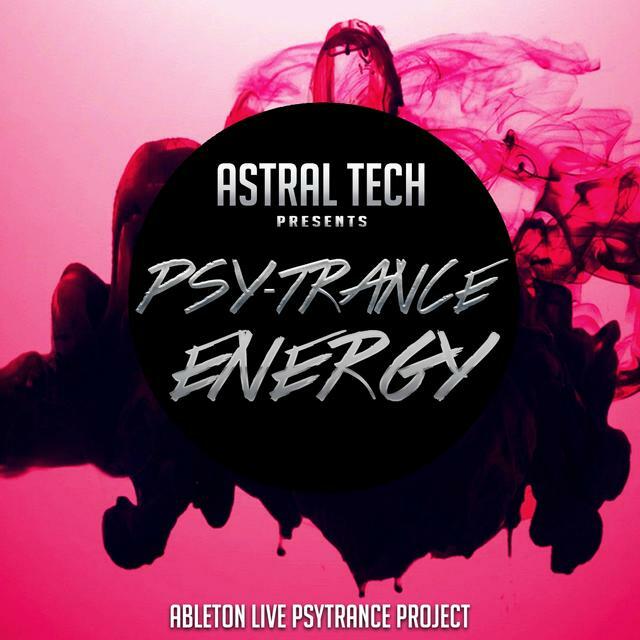 Astral Tech present 'Psy-Trance Energy' - a complete Ableton Live template for Psytrance. The project includes MIDI clips for synths, basslines and melodic parts, enabling you to easily edit and remix the project into new versions of the tune with your own ideas, or to use as a base for your own unique productions. This Psytrance project was inspired by well known Top Psy artists including System Nipel, Vibe Tribe, Bizzare Contact, Electro Sun, Sesto Sento, Spade, X-NoiZe and Aquatica to name a few top Psy acts: a superb Ableton Live Psytrance Template!